Description: DREAM CAR OF A LIFETIME 356 Speedster, replica Porsche built with a small portion of original VW torsion bar stamped with factory Vin in order to be registered as a Classic. 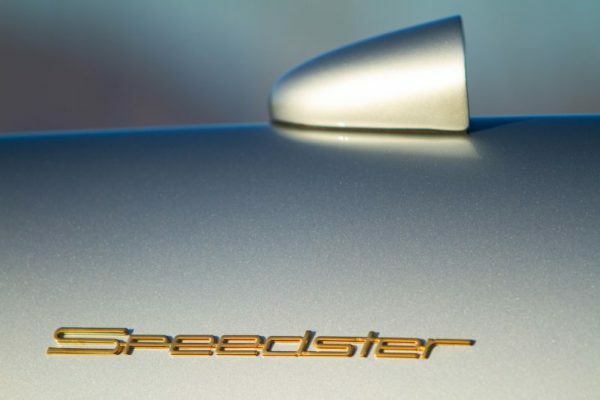 Distinctive details start with gold speedster and Porsche lettering emblems and chrome Porsche Hubcaps. 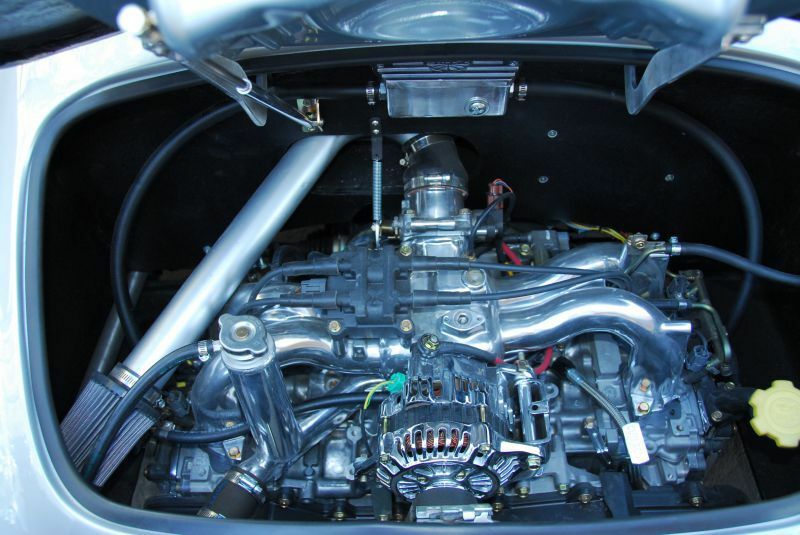 Other highlights include the fuel-fill in the center of the hood with chrome gas cap and chrome moly dual roll bars. 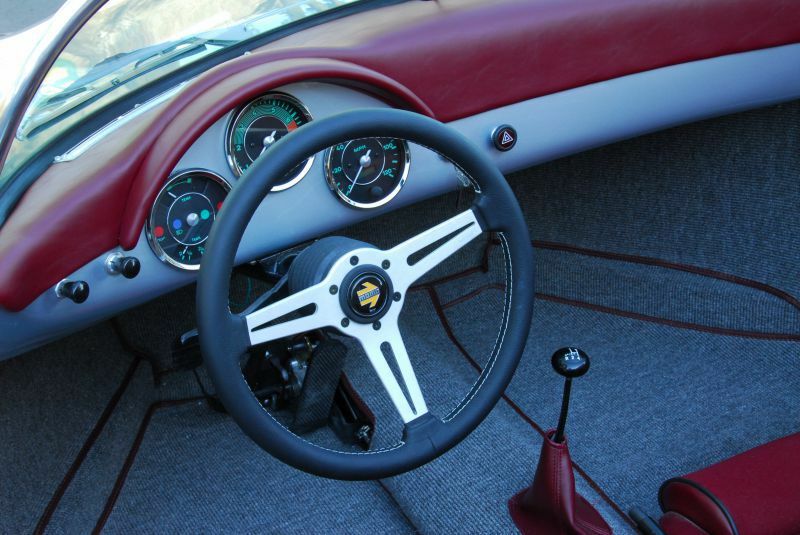 There is also a custom cockpit treatment from ARMANDO’S UPHOLSTERY with two Simpson five point racing harnesses. A specially designed collapsible back convertible top that tucks away neatly eliminates the bulky look of the original’s setup. 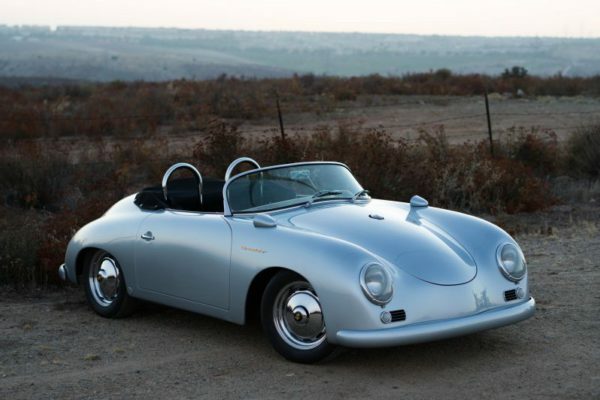 Porsche Polar Silver paint, a $12,000 work of art, from CUSTOMS BY MIGUEL gives this Speedster a “spectacular artic glow.” Featured in Nov/Dec 2016 issue of ReinCarNation Magazine here - https://www.rcnmag.com/garage/rock-star Quotes from Rock Star Article “This build from Rock West Racing not only emulates the iconic Porsche, but also enhances it with a number of significant improvements.” “Improvements on the original; the main foundation consist of welded 2 by 3 inch tubing with a .125 inch wall thickness, plus additional tubing to support the rear section of body. The RW Speedster’s fiberglass body is bonded with the frame in the mold using adhesive and resin, and mechanically fastened as well. The body–to-chassis adhesive is a two-part methacrylate that adheres to both composites and metals, yet has sufficient flexibility to handle stresses from high heat and vibration.” “For the suspension, Rock West installed a modern unit from Eyeball Engineering that has tubular A-arms and coil-over shocks. Bringing up the rear is an independent suspension, fitted with new brushings and bearings. Disc brakes are mounted at all four corners.” The engine is a “2.5-liter Subaru from Outfront Motorsports. 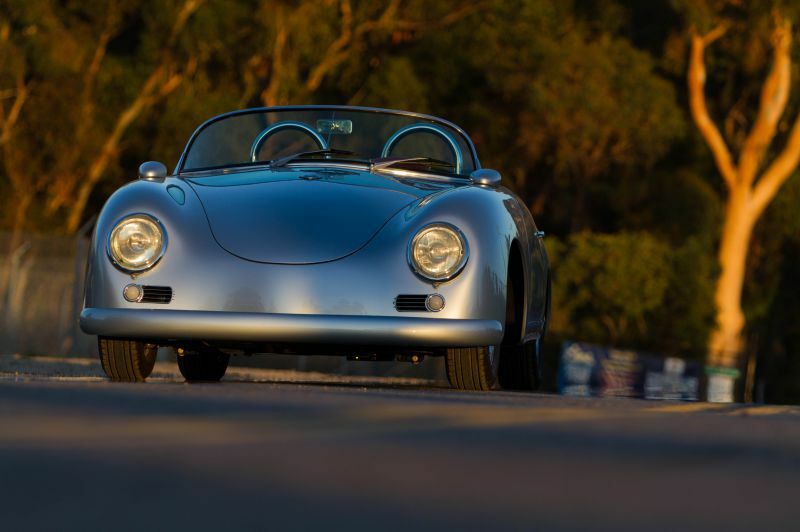 “It is backed by a VW-based, Pro Street transaxle from Rancho Performance with a taller fourth gear.” This 356 Speedster brought rave reviews at the Las Vegas Red Rock Concourse d’ Elegance. With only 186 miles this practically new Speedster has always been stored in an insulated garage and traveled to shows in an especially outfitted enclosed Mirage Xcel Trailer which is also for sale. 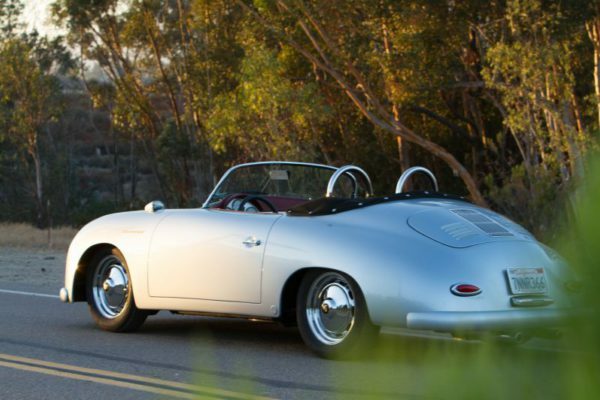 Four years and over $85, 000 went into making this 356 Speedster a dream car of a lifetime. I am looking for a new owner to love this car and enjoy the fruits of this build.